﻿ EURO 2012 » This is like the roof of Silesia Stadium will look like. 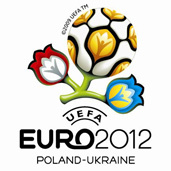 EURO 2012 > Euro 2012 > This is like the roof of Silesia Stadium will look like. The Silesian Marshal’s Office elected the German design office GMP Architekten from Aachen for the designer of the roof . The agreement with the company was signed on 25 April. The roof is supposed to be transparent with the openwork structure of the crown. It will cover the auditorium but not grass. Lamp standards will be closed down and new spotlights will be placed beneath the roof. The number of chairs will rise from 47 up to 50 thousands. Structure (leaned against 40 columns) will be raw, from a distance is will remind industrial structures, which are common on the Upper Silesia. – At the same time architects want to underline its openness. During evening parties the glow of lights still will be over the stadium. We named (temporary) the project “Crown of Silesian” – Grzegorz Sowiński, the engineer of the contract said. The project cost will be 11 mln. Zlotys. Building costs weren’t given. However it is a well-known fact that construction of the roof is a main element of the modernization worth the 250 mln. zloty of Silesian before Euro 2012. – out of offers of three companies we chose GMP. It is a reliable partner, its price offer was also profitable – said on Thursday a marshal of the province Bogusław Śmigielski, presenting the visualization of the Silesian Stadium. It is possible that the part of costs of the modernization will give the state. Minister of sport Mirosław Drzewiecki already assured the marshal of Śmigielski, that if UEFA will decide about matches of Euro 2012 also in Chorzów, the government will support the modernization financially. Earlier the government assured about such form of support for Poznań, Gdańsk and Wrocław . But in Warsaw state will cover whole expenses of construction of the stadium. GMP Architekten is an office with the more than forty-year-old tradition. From here are e.g. a plan of the new Central Station in Berlin (Lehrter Bahnhof) with 200 meters glass roof covering platforms, as well as of the Chinese National Museum by the Heavenly peace square in the Beijing. Architects have also experience at the modernization of the stadium in Berlin what can be useful to them in Chorzów. In the capital city of Germany they converted the Olympic Stadium from Nazi times from 1936. In Poland GMP Architekten won closed contest for a project of the National Stadium for Warsaw which is supposed to be a main arena Euro 2012. What will happen with the project? In the nearest days the auditorium company will check whether really it fulfills all international criteria. The agreement with the contractor was signed on 25 April. From the day of signing it GMP will have seven months for preparing the detailed building and performing project. Building works should begin at the beginning of the year 2009, and finish in summer 2010. Europe Championship 2012: The high time for building.